Harlequin Presents brings you four new titles for one great price, available now for a limited time only from August 1 to August 31! Look for glamorous international settings, powerful men and passionate romances in these four stories by USA TODAY bestselling authors. 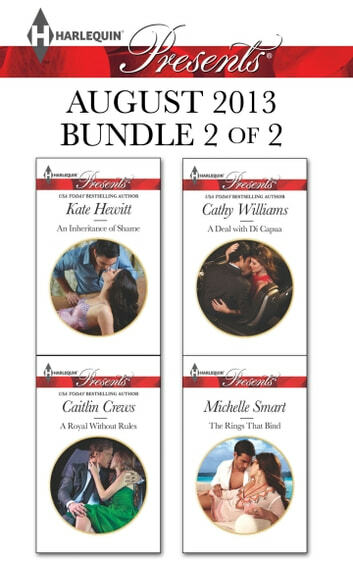 This Harlequin Presents bundle includes An Inheritance of Shame by Kate Hewitt, A Royal Without Rules by Caitlin Crews, A Deal with Di Capua by Cathy Williams and The Rings that Bind by Michelle Smart.